An air of mystique surrounds the careers of Harlemites Vast Aire and Vordul Mega, collectively known as Cannibal Ox. Fourteen years after earning their status as luminaries of underground hip-hop, Cannibal Ox is set to release the highly-anticipated sophomore album, Blade of the Ronin. Serving as the follow-up to the duo’s acclaimed debut album, Blade of the Ronin is the embodiment of Vast and Vordul’s years of creation and properly serves to provide listeners with the grimy yet futuristic soundscape that they’ve come to expect from Cannibal Ox. 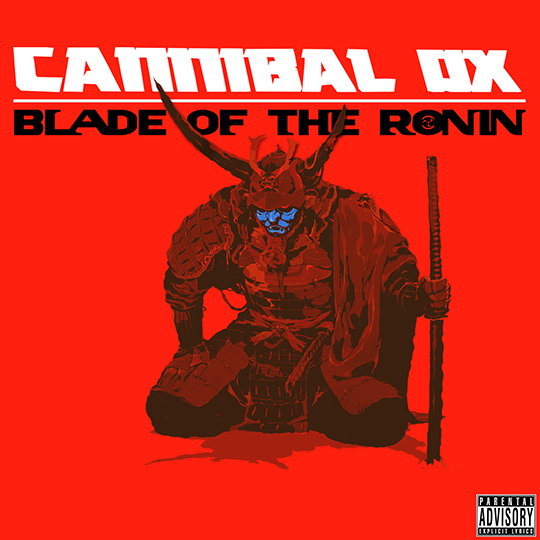 Today, Cannibal Ox reveals the cover art and track list for their long awaited sophomore album, Blade of the Ronin, exclusively via HipHopDX. Blade of the Ronin solidifies the triumphant return of Cannibal Ox as the kings of underground hip-hop, as Vast and Vordul capture their trademark sound with Bill Cosmiq at the helm for the majority of the album’s production. Together, this trio has created an album that personifies a sense of insightful lyricism and poignant production that has arguably been absent from the scene since The Cold Vein. The album also features tremendous guest appearances from MF Doom, U-God (of Wu-Tang Clan), Elzhi, Artifacts and more, all of whom compliment the vibe of Can Ox. Blade of the Ronin will hit stores worldwide on March 3rd via IGC Records / iHipHop Distribution. iHipHop Distribution was founded in 2009 in an attempt to provide artists with a new paradigm for distributing their music and building their brand. iHipHop Distribution has worked successfully with many artists and producers including Wiz Khalifa, Hippie Sabotage, SD, Jet Life, Marz Lovejoy, Cannibal Ox, and more (check out our list of Top Sellers) and maintains a partnership with the A3C Hip-Hop Festival for the release of its annual hip-hop compilation.